ClickPack Pro backpack is design to deliver a stylish way to carry your belongs and protect them from thieves. Like the idea? Let’s go on for the anti-theft backpack. The ClickPack Pro is a well-designed and secure anti-theft backpack that measures 46 x 34 x 16cm and weighs 1008g. 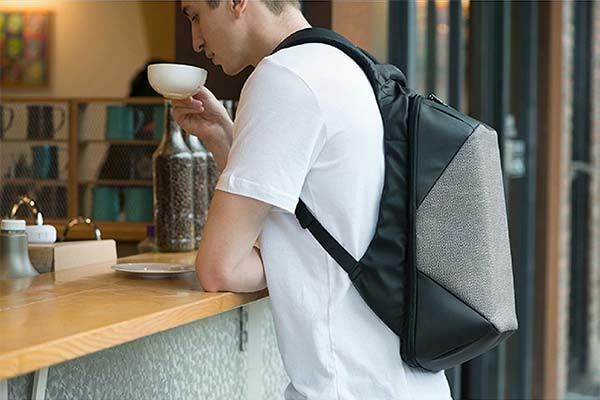 As we can see from the images, the backpack shows off a low-profile and elegant appearance design in order to blend well within various personal styles, and wrap-around shoulder straps help reduce and distribute weight on your back for a comfortable wearing experience. 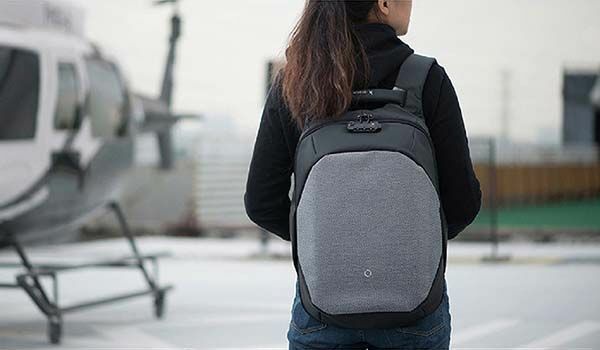 The backpack is made from special slash resistant fabric that consists of 60% polymer polyethylene fabric, 30% black ultra-fine industrial-level polyester silk and 10% military level glass fiber, so it’s 2 times stronger than carbon fiber. You will never worry about it being cut by thieves. Meanwhile, the YKK 8RCW two-way zippers feature double coli chain to prevent it from being easily punctured with pens and other similar objects. Furthermore, 3-digit lock securely deals the backpack wherever you go, and retractable metal wire lock is designed to keep your backpack in place. Integrated reflectors make you visible up to 100 feet ahead. 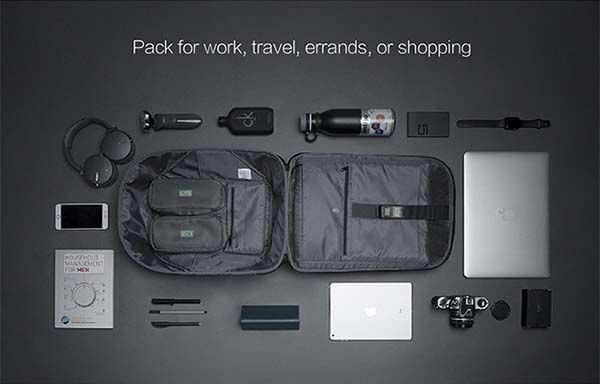 The ClickPack Pro features 17.3L storage capacity with 5 major compartments so it’s capable of accommodating various belongs including 15.6″ laptop, iPad, clothes, water bottle, headphones, camera and more. Two removable small pouches are designed to hold your toiletries and electric accessories, and a built-in USB port lets you conveniently access to your power bank, charging your smartphone on the move. The crowdfunding campaign for ClickPack Pro is ongoing on Kickstarter. You can pledge $99 to preorder the anti-theft backpack. It will be shipped in June this year (estimated) if reaching its funding goal. BTW, don’t miss Bobby anti-theft backpack and other related gadgets by following tags. Update: the backpack has been available on Amazon.